Called automatons by the allies or AWPs (Automated Weapons Platforms) as their original German titles are names given to the combat walker type units of the Empire of the 4th Reich. They come in various sizes and shapes and can be regarded as a completely different branch of organization, separate from the German army, navy or its air force. These machines are very complex and difficult to construct, and some of them are even regarded as war relics, going back to the beginning years of this long war. They are quite mysterious machines and are high on the list of priorities to seize after the battle because of their high technological value. They are bulky and big. Some of the smallest of them are less than 6 meters tall. Their various classes support different types of modular weaponry, from light auto cannons to the heaviest anti tank and siege weapons. They are living sentient weapons of war and are not piloted by any other bots. Having a great deal of the emotional parts of their electronic brain removed makes them fearless killing machines that have no knowledge of remorse or retreat. They cannot speak our language but have their own type of machine language, enabling them to communicate among themselves even in the thick of battle. Their language consists of a lot of mechanical noises and general racket that would be incomprehensible to our ears. Although they can understand our language, Kragen’s troops usually use special radio devices to communicate with them over long distances. They know no emotion, might that be fear, regret, pity, happiness or sadness. They are extremely persistent and once given an order they, will stop at nothing and rather die trying, if the task is impossible, than retreat. They have no sense of self-preservation and, if told, they will blindly charge into battle even under the heaviest of enemy fire. They will do anything they are told if commanded by a general or commander. Other of Kragen’s troops dislike these gigantic metal husks as they have no free will, just blind obedience in killing the enemy. That gives them a frightening appearance even to their own troops. The only factory able to produce them, and does so at a very slow pace, is believed to be located in the suburbs of Berlin, in an underground complex, but that is not proven. The smallest and most produced of all automatons are the LA-AA, meaning light armored assault automaton. These little monsters are just over two meters tall and can be considered savage beasts more than actual soldiers. With a primitive brain, these small automatons can only understand a couple of orders. But those are enough as they work like hunting dogs for the 4th Reich infantry. They are released on a target – might that be a trench full of unsuspecting soldiers of a barricaded house. They will then storm the object with savage force, clawing their way in with their large talons placed under their gun mounts or simply brake in by ramming the doors down. They will then butcher everyone inside until told to stop or at least until nothing is moving anymore. Their weapons are a pair of MP 40s mounted in their arms and a pair of sharp claws that they usually prefer to use instead of the MP 40s. By far the most used is the A8. 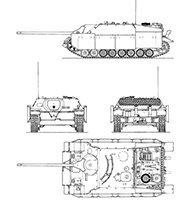 Featuring light armor and light armament, it is mostly used as a light support or scout for terrain where normal light vehicle can’t go. 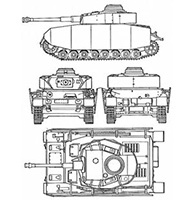 Lightly armored, it is mostly resistant to all small arms fire or heavy machine gun fire but it is venerable to all types of cannon or auto-cannon fire. This variant is the most varied and easiest to customize to an AA, AT or AP platform with lots of different weapons being made for it. Unlike the other three types, this one carries its weapons in manipulative robotic hands instead of the weapons being directly attached to its hull. This is a medium size model of the three variants. It’s made as a siege artillery piece and has no direct fire options. The powerful Quake cannon can be mounted on its shoulder and can send out shells in a radius of 5 km. It is slow and heavily armored to resist all but the most powerful of shots. Their speed is very low as they can’t walk faster than 10 km/h, and their reload time is even slower as they fire a shell every 5 to 10 minutes. This is balanced out by the quake cannons immense destructive power. 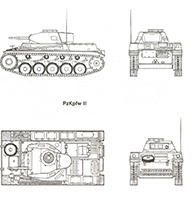 They can also be fitted with an 88mm king tiger cannon for an anti tank role. The biggest, strongest and by far the most armed of all the three variants is the MA-SA. With its height of just over 10 meters, it is capable of carrying the biggest and most destructive weapons. Its arsenal consists of various cannons, close combat weapons and experimental types of weapons like the Volcano cannon. Its power source is unknown as they have never been defeated in battle without leaving them unsalvageable. But it is known that it must be one with immense power as it can carry 80 tons on its legs with ease. This version of the AWP is not produced anymore. The reason for this is its long process of production, which could last up to two months per piece. 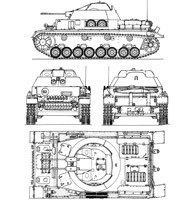 So it was suggested that heavy tanks were more effective in its role as a heavy support as they can be produced at much quicker.